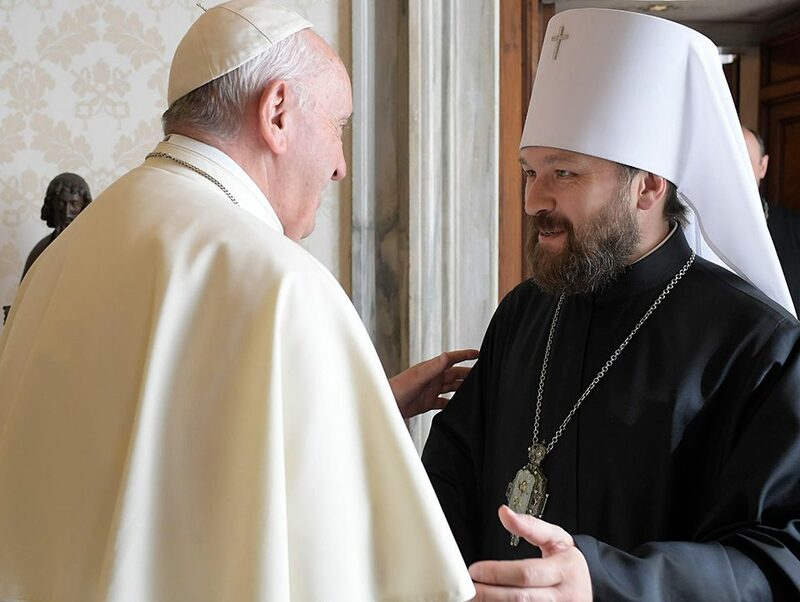 On July 5, the Press Secretary of the Ecumenical Patriarchate officially denied reports that the Patriarch had suggested “dual communion” to the Uniate Greek-Catholic Church of Ukraine, saying that “the Ecumenical Patriarchate refutes this inaccurate statement and affirms it was never made”. Certainly we would be glad to hear this in the context of, say, Greece, but unfortunately, in the context of Ukraine, where the Ecumenical Patriarchate and Moscow are locked in a struggle to both try to place Ukraine under their own jurisdiction, such looks disingenous. The denial is here. Indeed, the Roman Catholic bloggers who started up the engine for the “intercommunion” train are putting the brakes on it as quickly as possible (see here for example), perhaps afraid of repercussions in the face of recent public attacks against voices opposed to ecumenism, such as Bp Diomid of Moscow and Esphigmenou Monastery on Mount Athos. 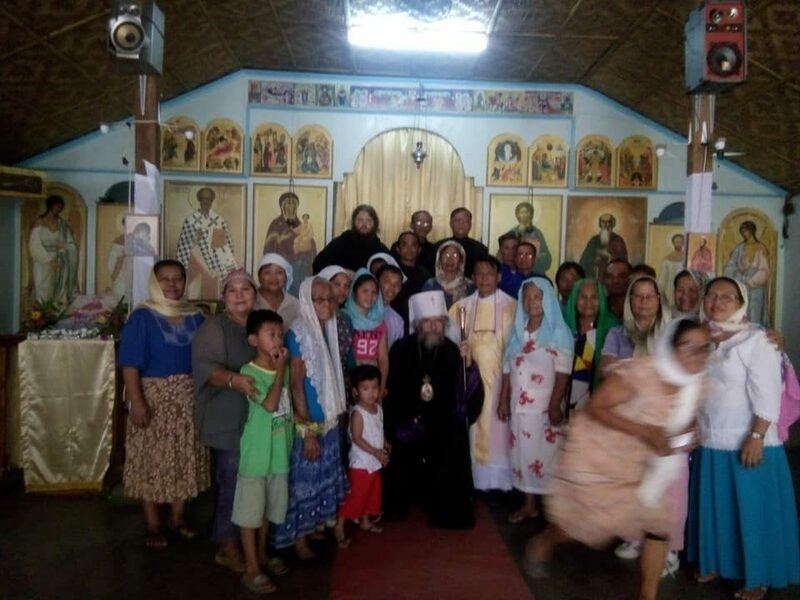 Such attacks have actually turned more of the laity of the official Churches against ecumenism, and Orthodox traditionalists in Greece, Russia and elsewhere are now showing themselves fully ready to absorb any waves of disaffected laity, putting to rest the lie that the traditionalists are too disorganized to act as a force against ecumenism. 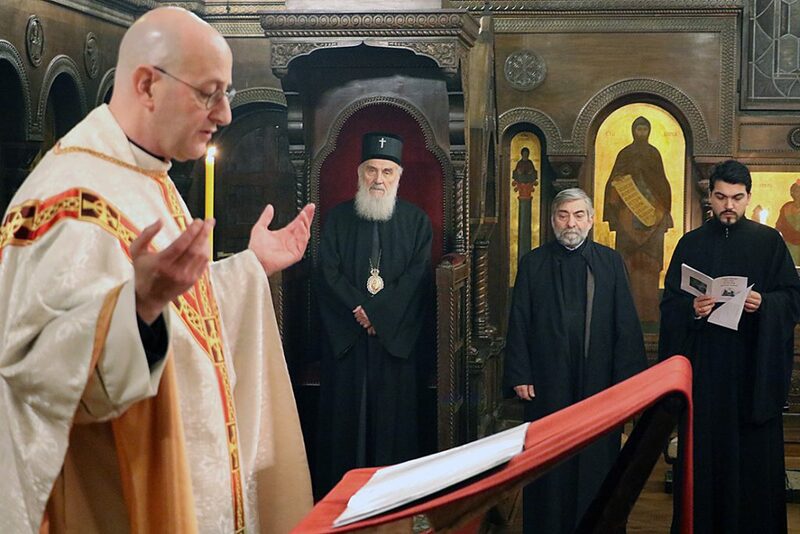 And that was in May, as Bishop Salachas of the Greek Uniates was only recently ordained. 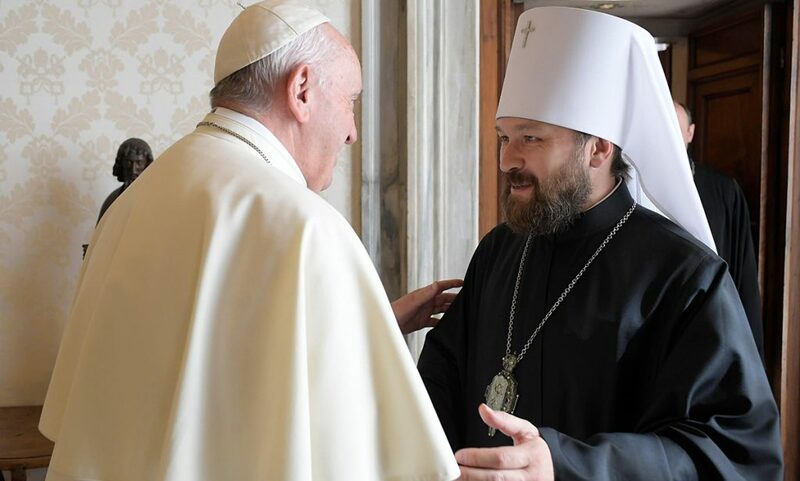 In context, this is the only direction the Patriarchate could go; faced with being shunned by Moscow for attending anniversary celebrations for the Baptism of Rus’ in Ukraine, which led to a flurry of complaints from Moscow Patriarch Alexey II, the idea of proposing to the Uniates a “dual-communion” between Rome and Constantinople (read: not Moscow-controlled) forced the Ecumenical Patriarch to reverse what may well have been his position, and certainly not the first time such a thing was suggested to the Uniates by official Orthodoxy. 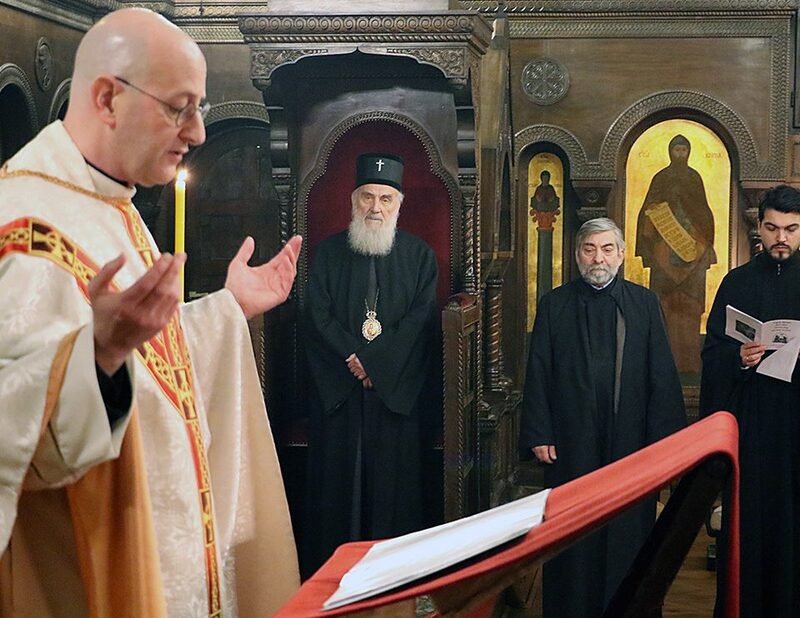 But the most telling proof of this was that the statement of the Greek Patriarch on the matter of the Uniates appears on the English page in two languages: English… and Russian.